I’m still doing a lot of traveling in my local area. Now that it is summer there are lots of outdoor places to see and enjoy. As the title mentions there is an actual move involved. I recently moved and have now settled in a house here in Virginia. These are some of the flowers that are currently in bloom in my yard. This entry was posted in Travel, USA and tagged flowers, summer, Virginia. Bookmark the permalink. You live in a lovely area! We actually have been having rain in South Texas (in the midst of a 20 year drought) and are surrounded by blossoms and green for the first time in years. The tulip gardens are delightful……….combine that with the stream and you can skip along the path and pretend you are dodging the bicycles in Amsterdam! I was really comfortable in one of those lounge chairs but I didn’t actually fall asleep. It was very relaxing though! What are those pink flowers? Do you know? Very pretty. 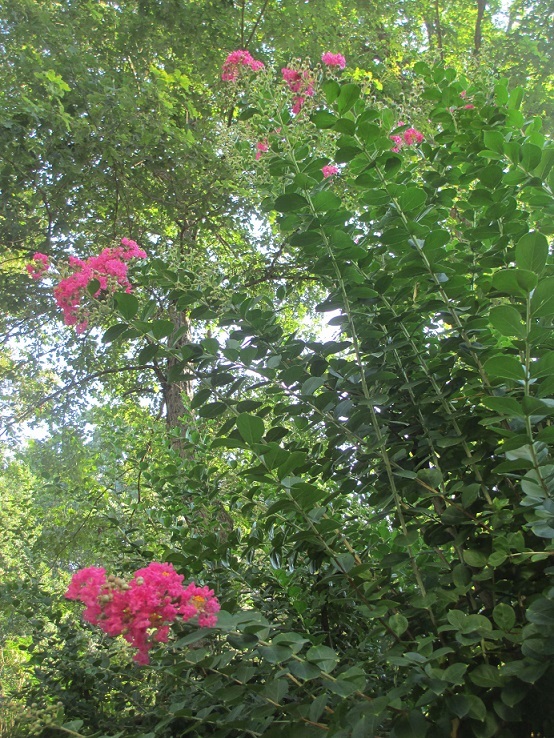 I found out that they are crepe myrtles and I’m really happy to have them in my yard! Also, your blog header is very cool for summertime. Nice. Thank you – it’s fun picking out just the right pictures for the header! Seems you’re having a good time! It has been so much fun finding so many places to visit – it’s been a great summer! It must be warmer in Virginia that they could grow myrtle. Best wishes on your move. Summers are special and short lived and are to enjoy. Its sounds like you are doing just that, Meg. Is that crepe myrtle blooms? Oh good, you are here to stay! (At least for awhile, I hope). I’m looking forward to being here for a long time – thank you Patti! We’ll have to get together one of these days. 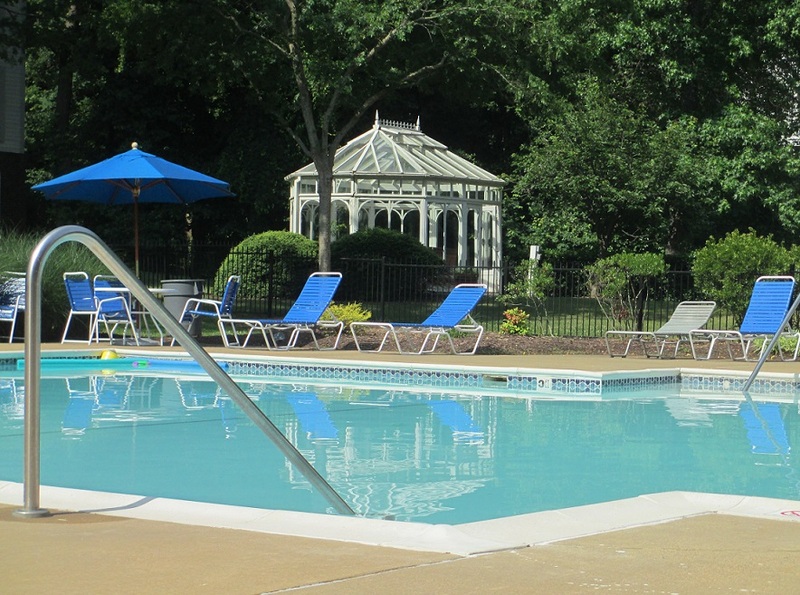 That sounds great – I’ll be heading for Virginia Beach sometime soon! Exploring your local area gives us a glimpse, too — great images! Love those flowers! Enjoy your new location. Thank you – I’ve really been enjoying all the opportunities to see and enjoy this area! Beautiful photos. It seems that You are moving to paradise. Thanks and I think it is really lovely here! 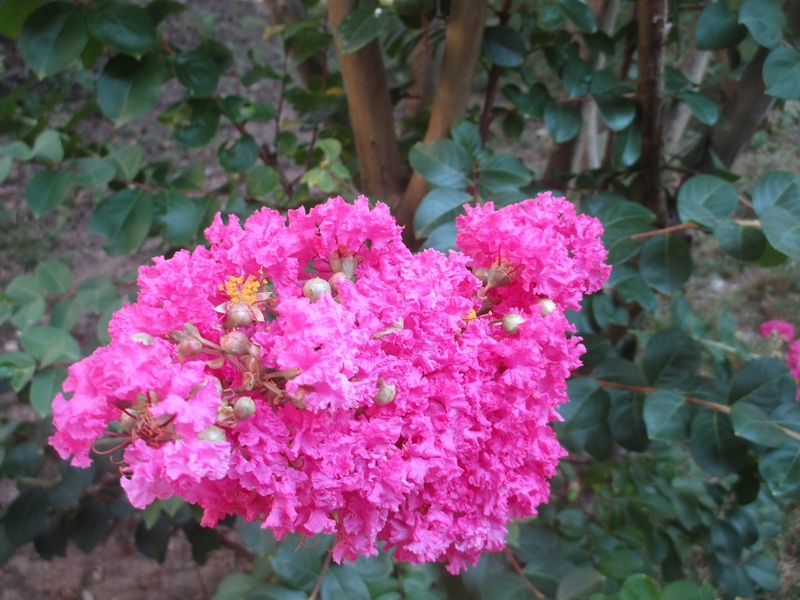 Crepe Myrtle blossoms are so pretty and vibrant, what a great backyard you have! I’m so glad you’re feeling “at home” in your new location. Charlottesville is so beautiful! Thank you – I’m really happy to be here and go on adventures! Thanks Jo – a sunny day is a wonderful thing! Thank you – it has been a beautiful summer here!